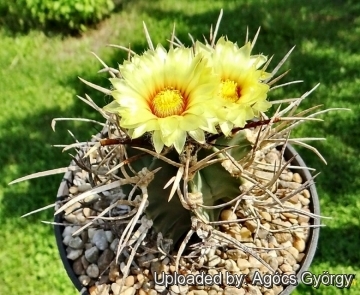 Description: Astrophytum capricorne var. 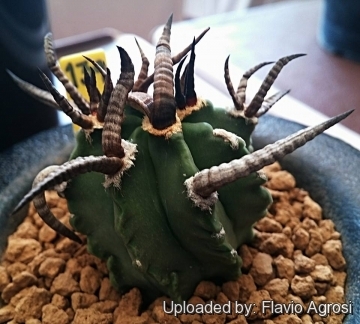 crassispinum cv. 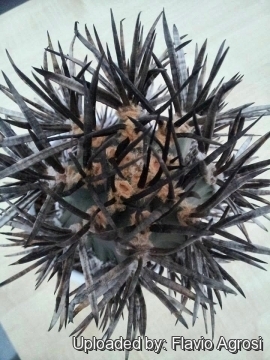 Taiho, in Japanese speaking taiho-gyoku, is a Capricorn with very strong, short flat, and quite impressive spines. 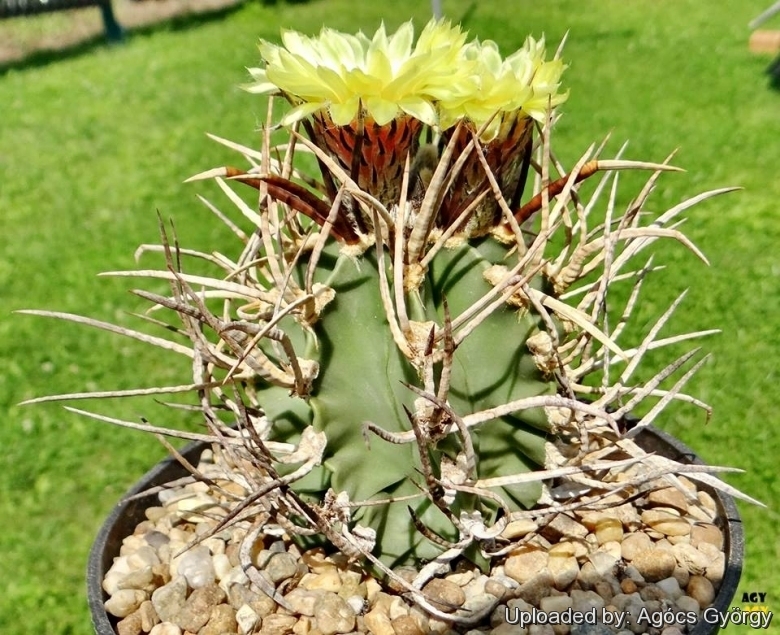 Surely the distinctive trait of this cactus are the spines which are less curved but thicker and much more grotesque than other capricornes. 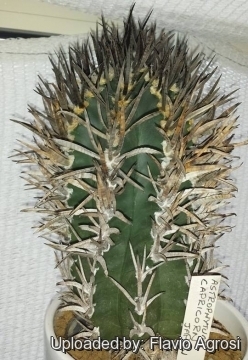 Other features are the epidermis that lacks the typical white flakes of astrophytum (nudum) and the large felty areolas. 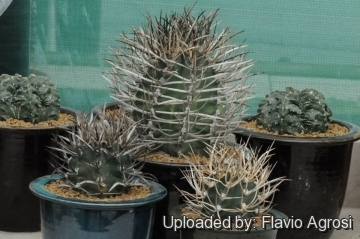 Derivation of cultivar name: Taiho is an abbreviation of Taihogyoku that in Japanese speech would mean something like "Astrophytum capricorne v. crassispinum nudum cv. 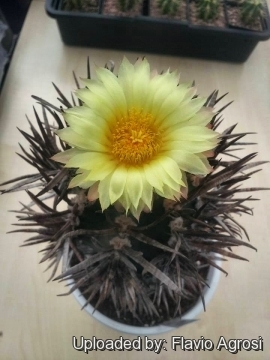 yellow buffalo spine”. 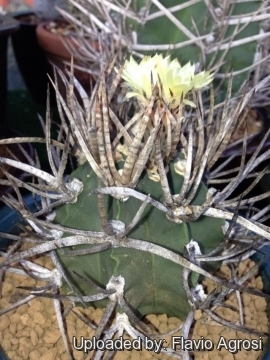 Cultivation and Propagation: Astrophytum capricorne is a strong summer-growing species of relatively easy cultivation. 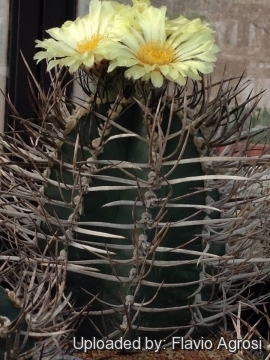 Hardiness: It likes warmth (recommended minimum winter temperature 5° C) But plants kept perfectly dry can easily survive to light frost (it is reported hardy to -9 ° C for brief periods).